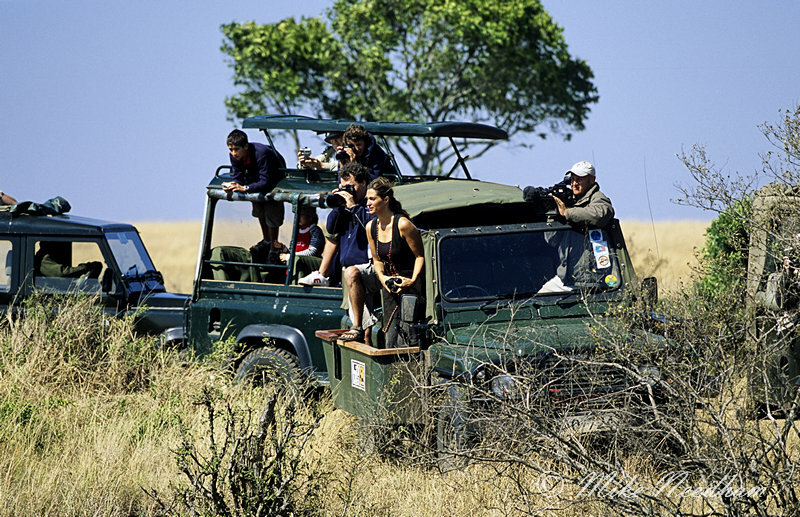 Trip Type: Specialist photography group safari booked through Wild Arena and organized by Safari Consultants Ltd. Accommodation was static (luxury) camping and travel between reserves was by air. Firstly let’s get the minor photographic low points out of the way. I should have taken something a little wider such as a 28mm as the 35-80mm was too limiting. Not a big deal but my 28mm would have been useful at times but based on past experience I did not expect to need it. The second ‘low’ was also equipment related as, although I was a strong advocate of film at the time, in hindsight I should have switched to digital before this trip which was to be my last with film. Indeed, I was the only film user over the two weeks and whilst that specifically did not concern me in the slightest, it was educational and made me realise some of the advantages digital that I was missing out on, such as histograms and variable ISO. Also, the cost of film and processing for the trip (I shot around 110 rolls and took a total of about 130) would have just about covered the cost of a D200 (excluding cards and spare batteries). But the trip did completely change my opinion regarding going over to digital and I got my D200 just a couple of months later. Lewa Downes (Lewa) was a short flight from Nairobi and we were there for lunch, and then an afternoon game drive, after getting into Nairobi on an overnight flight from London. 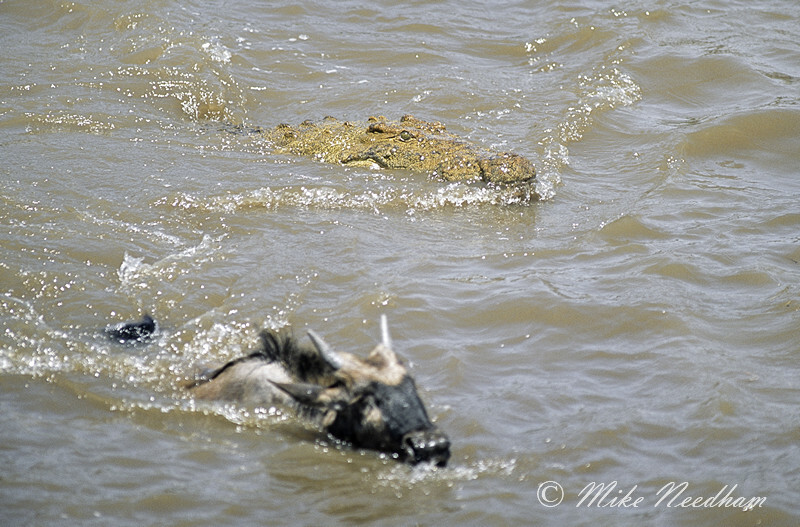 This would have been a day long hard drive by road and the afternoon game drive an impossibility if we had not flown. Already the internal flight had paid for itself. 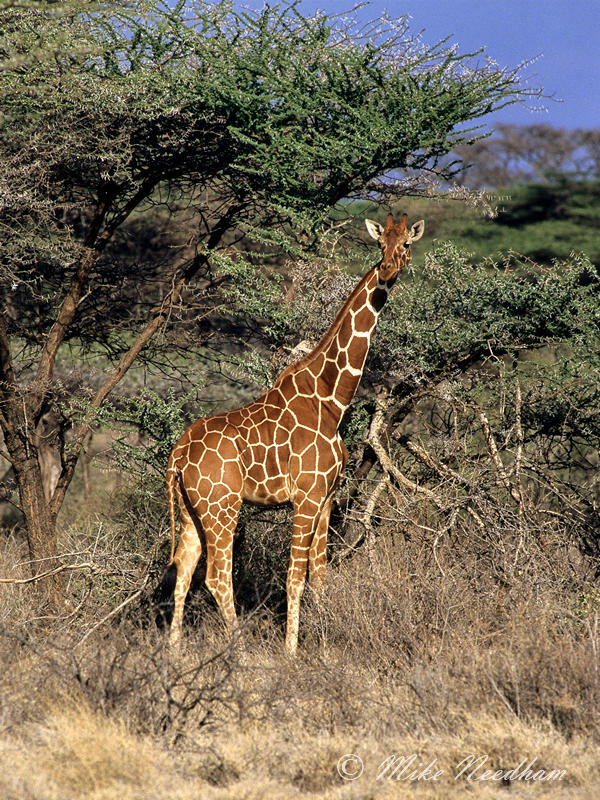 The reserve has just about every major animal type you could wish for in Kenya, although many are different species or subspecies typical of the ‘northern circuit’ and are not found further south in the Mara for example. 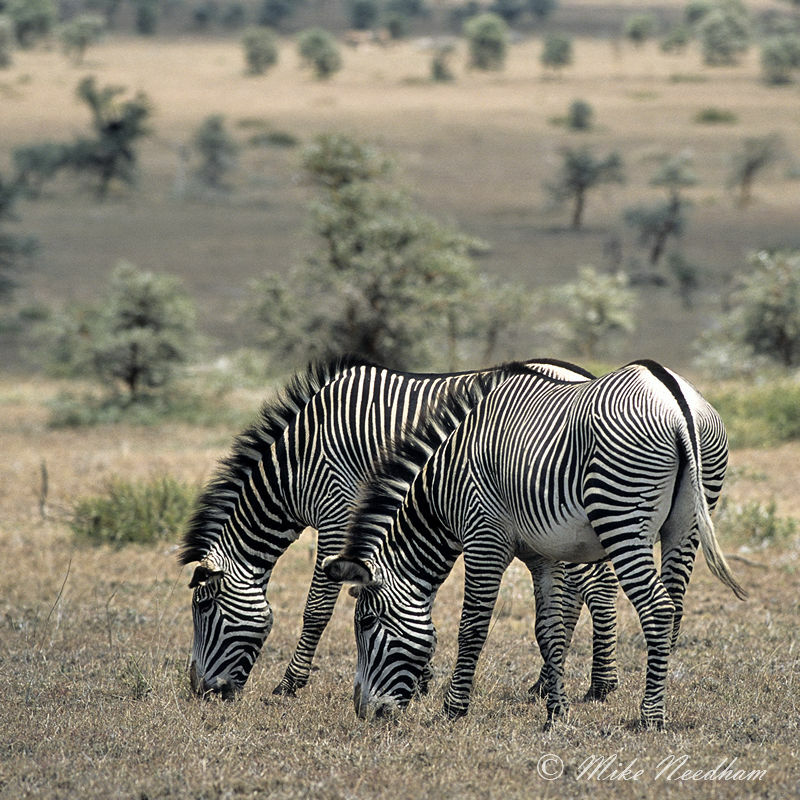 The zebras are the stunning and rare Grevy’s species, the giraffe are Reticulated as opposed to Masai, ostrich are Somali (males have blue necks rather than red), etc. 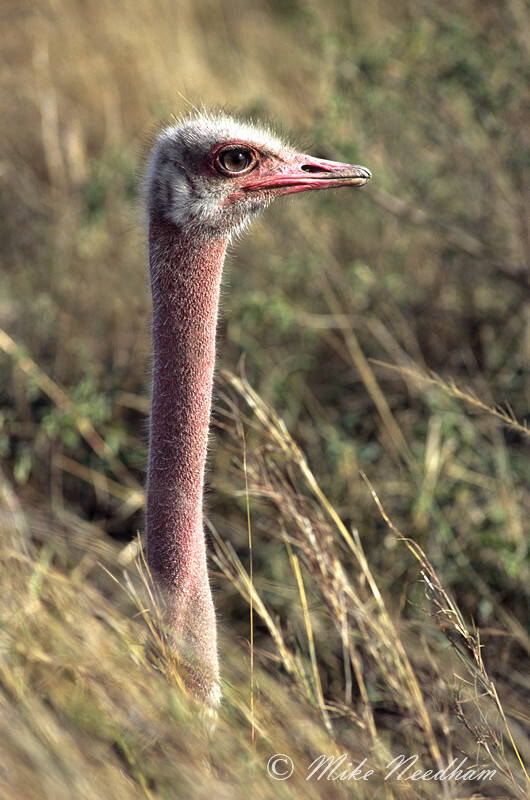 much the same as are found in Samburu and Buffalo Springs NRs a little further north. There are also some rarer inhabitants not typically seen at all further south in Kenya such as gerenuk, besai oryx (both also seen in Samburu NR) and the beautiful sitatunga. Plus of course there are good numbers of lion, leopard, cheetah, elephant, etc. This makes it a wonderful destination and a great addition if you want to broaden a trip to the Mara, Tsavo or Amboseli with somewhere not too far away but that offers some added variety. Add to this some wonderfully varied terrain and Mt. Kenya in the distance as a backdrop and you could easily think that you were being spoilt and could not reasonably expect anything more. But you would be wrong, as wonderful as all of this sounds, and it is truly wonderful, there is a more compelling reason to single out Lewa for a visit. Rhino! Both white and black rhino, and lots of them. The Lewa conservancy is first and foremost a rhino conservation project and as a consequence finding and photographing ‘wild’ rhino here as easy as you could hope or imagine. If my visit is anything to go by you would have to be VERY unlucky to visit for even one day and not see rhino. After 2 or 3 days we would drive past rhino where the light or background was not ideal and look for something ‘better’. Sightings which in almost any other reserve would have been a trip highlight, it is that good. But as mentioned above Lewa is not just about Rhino and would be a good destination for a single centre general safari too. A few weeks before departure we had a pre-trip briefing to go through what to during the trip and to help those on their first safari plan what to take etc.. It was at this point that I discovered that our camp in the Mara was not actually inside the Mara reserve but in a private conservancy about 30 to 40 minutes drive away. I was horrified, but our UK guide reassured us that the conservancy area was just as good and productive and it’s famous neighbor and access to the reserve was also included. I was not convinced but I must say my fears were totally misplaced. 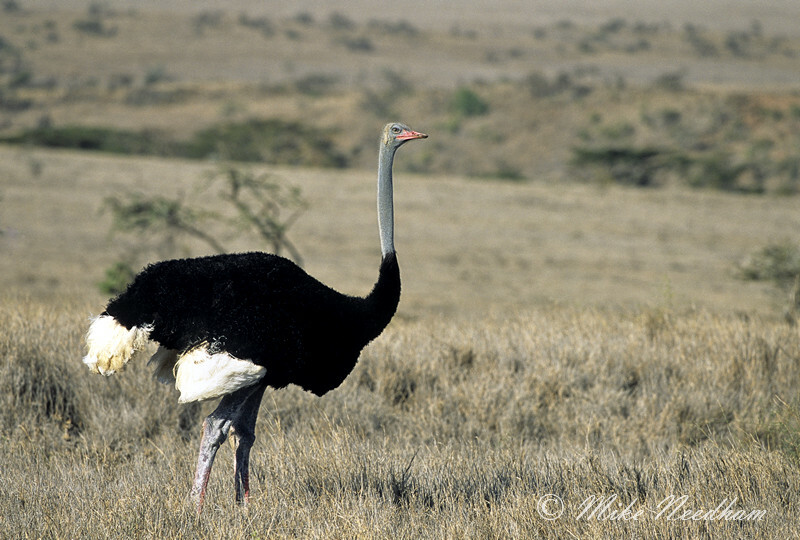 It was easy to lose track of whether we were in the main reserve or the conservancy. Some days the reserve would be more productive, others the conservancy was better or so good we simple did not bother going into the main reserve. This trip more than any before it really made me realise just how good the Mara is. It is still not my favorite reserve, I find much of the vast swathes of grass can produce bland uninspiring backgrounds at times (although they can be amazing during a storm etc.) but there is no denying the abundance and diversity of animal life there. 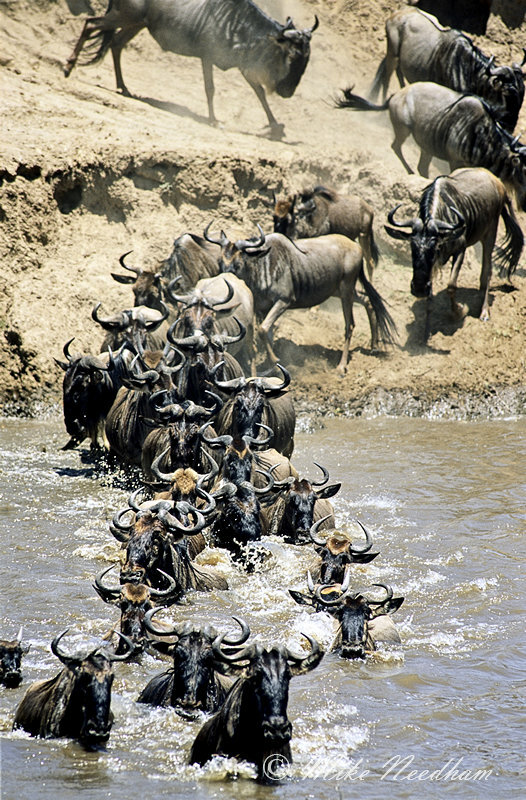 In addition, at this time of year there was also the added spectacle of the wildebeest migration passing through which, when the wildebeest and zebra cross the Mara River in their thousands, is truly an unforgettable experience. 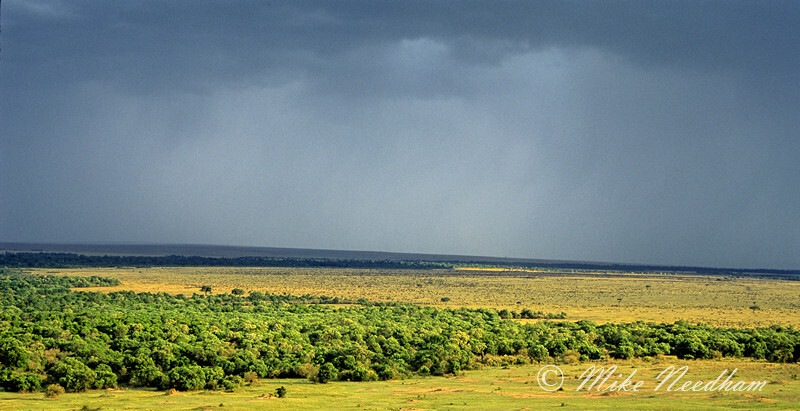 During my stay in the Mara I had countless photographic opportunities and every day produced. The highlight for me though was the leopard sightings. We had spotted one in a tree driving to camp from our arrival at the airstrip about 45 minutes away, a little later we saw it again with a fresh kill. 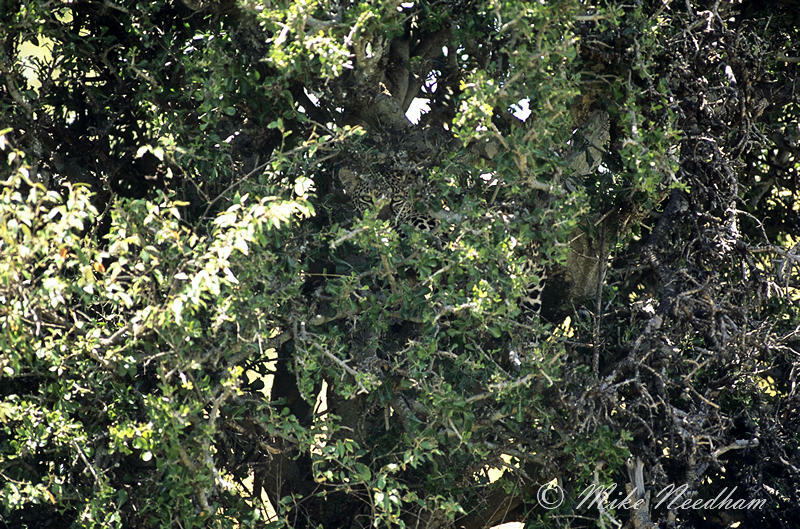 This was a good omen, and very welcome as we had been unlucky and not seen leopard at Lewa. We saw several other leopards in various locations over the next (almost) two weeks but the best were the mother and two cubs living in the lugga (a heavily vegetated long pool of water in a crease in the land about 1-2kM long and 10-20M wide) adjacent to our permanent tented camp. Sighting of one or more members of this feline family were so common that one of the Big Cat Diary film crews started to turn up to get additional footage in case their more usual subjects failed to show or perform. This close proximity to camp, their relaxed attitude around our vehicles and the amazing skills of our guides all came together to give us some amazing sighting. Twelve nights in the Mara in one stay was a real luxury, and probably something that I am very unlikely to repeat, it was certainly something which I will never forget. In many ways this trip was the ultimate combination of what I thought an ideal photographic trip would look like and so was a bit of an experiment to see if my learnings and assumptions were correct. It was certainly an expensive experiment and to this day (2011) remains the most expensive trip that I have been on, and by some margin. It was actually two separate trips combined into one to give the additional time in the Mara. The trip was specifically focused on photography, everyone else was also a photographer, the vehicles in the Mara were adapted for photography, it was lead by a professional photographer, each day was scheduled around the best light (out early, back late with infinite flexibility regarding meal times etc.) and ‘dead time’ was absolutely minimised. So, was it better than a ‘tourist’ safari? You bet, it was a real eye opener for me and would become a bench mark for all future trips. I think the camp which we used in the Mara deserves special mention. As I explained above it was located some way outside of the official Masai Mara reserve in a private conservancy area owned by the local Masai. Indeed I believe that the camp name, Kicheche, is a Masai word meaning “mongoose”. The camp (we actually stayed at Kicheche Main Camp, there was also Kicheche Bush Camp – see Kenya 2008) was a small collection of large ‘permanent’ walk-in tents, each with its own separate shower and toilet, electric light, huge comfortable bed, etc. This was certainly not like any form of camping I had done before. The food too was first rate and arguably surpassed only by the quality of the guides. Indeed, the best word to describe everything at Kicheche is “quality”. As we were a group of photographers they had attached platforms to the outside of the vehicles by every seat and provided large bean bags so long lenses could be steadied and used in comfort for long periods. It is these little extra details that make a tremendous difference to a photographer. The game drives were incredibly flexibly, sometime split morning and afternoon, sometimes we would be out all day with a picnic lunch. Most days we would have a picnic breakfast at some beauty spot in the middle of the bush, an amazing experience. 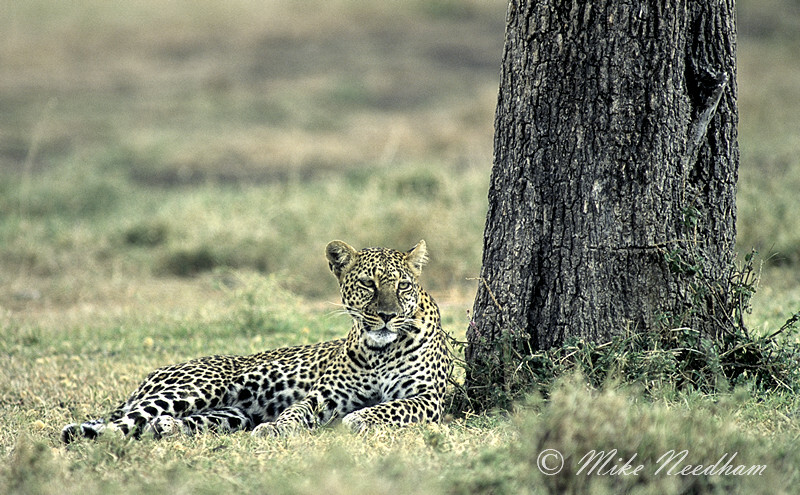 Leopard idling the day away with even more time than Kicheche guests! One day in particular highlighted to me the flexibility and attention to detail that the camp offered. We had planned to have a morning close to camp with the intention of getting some addition time with our local leopard family. At first light we found the mother up a tree with a dead impala slumped over a high branch but the twist was that the tree was one of the isolated acacia scattered over this region of the plain and was several hundreds of meters from the lugga where we knew her cubs would be hiding. She certainly would not risk bringing them so far out of cover to feed, especially in daylight, so her only option was to take the food to them. We decided to stake out the tree and see if she would make the bold move in daylight. So, along with 2 or 3 vehicles from other camps and a Big Cat Diary crew, we sat and waited. By mid morning the guide asked us what we would like to do, return to camp for breakfast and then possibly return, or stay. We elected to stay. Thirty minutes later another Kicheche vehicle arrived with a picnic breakfast for us, the occupants of the other vehicles looked on enviously before departing, presumably heading back to their own camps for breakfast. We sat, tucked into breakfast and watched, along with the immensely dedicated BCD crew, photographing whenever the mother leopard would stretch or climb down to sit in the shade (we were all a sensible distance away and in no way was the leopard crowded or harassed). Eventually lunch time came; sure enough we were asked what we would like to do. We voted for a picnic lunch delivery from camp and sure enough Kicheche obliged. We ended up staying with the leopard and her prize all day. As it turned out it was not a particularly productive day photographically, but it was an unforgettable experience to spend a whole day in the company of a wild leopard, and a real lesson in what customer service in the African bush is at its best. The point here is that we were given the option to tailor our day on the hoof (sorry, no pun intended) to suit what we wanted to do given the situation at that time, at the Kicheche staff made it happen effortlessly and without fuss. I am not sure that there are too many other camps that would have been so obliging, it was service you most certainly would not get on a ‘tourist’ safari. The Kicheche camps are certainly not the cheapest (sadly they have almost doubled in price in the last few years since this trip, writing in 2011), but they are VERY VERY good.